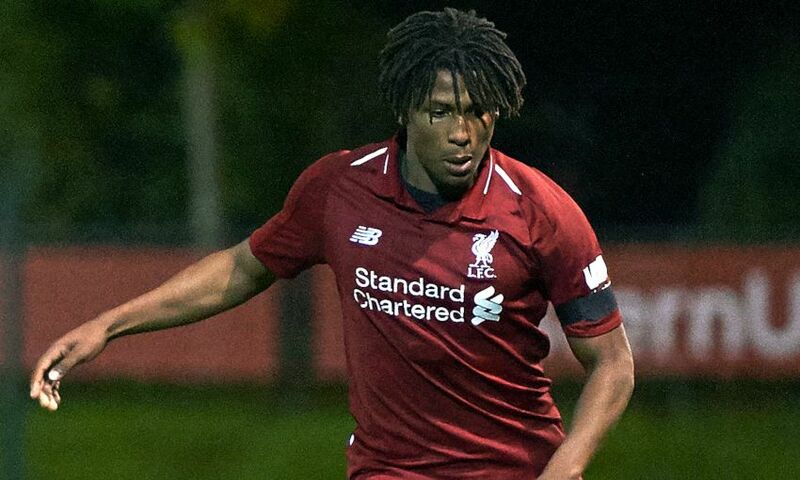 Yasser Larouci scored a goal to remember as Liverpool U23s came back to beat Hertha BSC 3-1 in the Premier League International Cup on Wednesday night. After the heavy defeat by Villarreal in their opening fixture, Neil Critchley's side bounced back in style against their German opponents. Jurgen Klinsmann was among the crowd in Kirkby to watch his son Jonathan play in goal for Hertha BSC. Things didn't start well for the young Reds, who fell behind to a third-minute goal when Maurice Covic pounced to beat Caoimhin Kelleher. But Glen McAuley levelled for the young Reds from close range. The equaliser owed much to the work of Lazar Markovic, who was clean through on goal and squared the ball to his teammate for a tap-in. Larouci then made it 2-1 with a fantastic curled finish into the top corner of the net from the left side of the penalty area. Substitute Liam Millar came off the bench to make sure of the victory, slotting home the third goal just after the break following good work from McAuley. Reflecting on the win, Critchley told Liverpoolfc.com: "The lads did really well tonight and it was a deserved win. "We showed an excellent response and great character to going a goal down so early on, and we responded really well. "We showed a lot of bravery in our play and it was very pleasing. "Yasser scored a brilliant goal and we could have got a lot more in the second half." Liverpool U23s: Kelleher, Hoever, Johnston, Masterson, R. Williams, Coyle, Markovic (Millar), Chirivella (Lewis), McAuley (Duncan), Christie-Davies, Larouci.